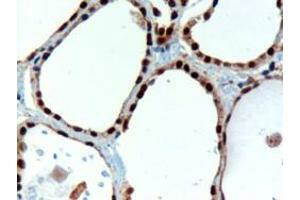 ABIN184783 (3µg/ml) staining of paraffin embedded Human Thyroid Gland. Microwaved antigen retrieval with Tris/EDTA buffer pH9, HRP-staining. 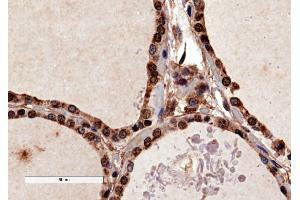 ABIN184783 (4µg/ml) staining of paraffin embedded Human Thyroid Gland. Microwaved antigen retrieval with citrate buffer pH 6, HRP-staining. This data is from a previous batch, not on sale. 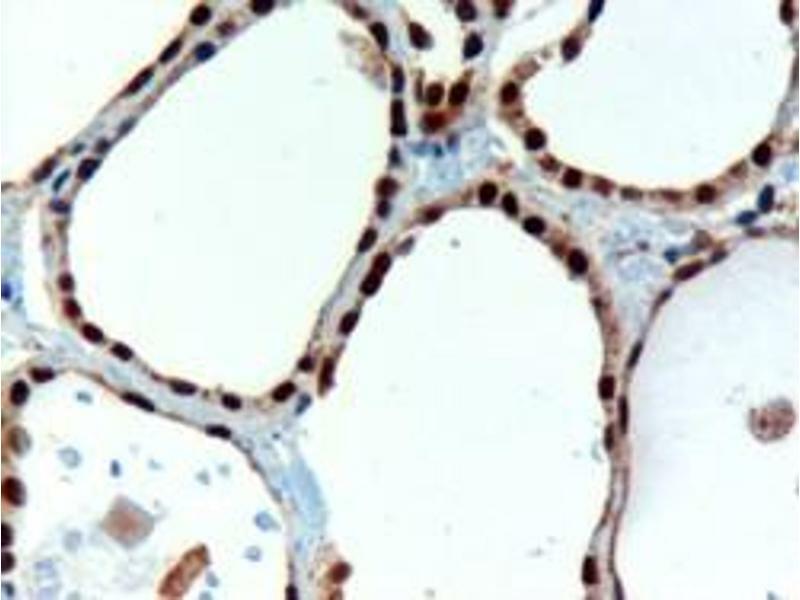 ABIN184783 (1µg/ml) staining of Human Kidney (A) and HeLa cell (B) lysate (35µg protein in RIPA buffer). Detected by chemiluminescence. 免疫原 Peptide with sequence PHNSIRSGHGGLN-C, from the N Terminus of the protein sequence according to NP_003457.1, NP_039245.1, NP_039246.1, NP_039247.1, NP_054698.1. 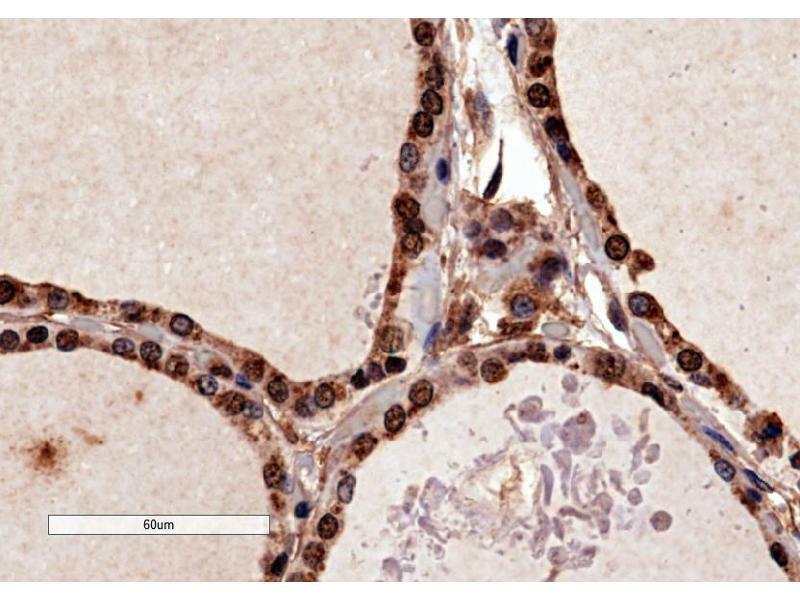 DS WB Results: Approx 35 kDa band observed in Human Kidney lysates. An additional 48 kDa was also observed in some Kidney and HeLa cell lysates (calculated MW of 34.9 kDa according to Human NP_039247.1 PAX8D and 48.2 kDa according to Human NP_003457.1 PAXA). Recommended concentration: 1-2 μg/mL. Primary incubation 1 hour at room temperature.